Cole started his career in the financial services industry in 2001 and has earned his Certified Financial Planner™ certification. Cole is currently the President of Bridgetown Wealth Management and Financial Advisor with Waddell & Reed where his focus is to provide comprehensive financial planning and wealth management services to his clients. By adopting a holistic and individualized approach to planning, his objective is to assist clients in pursuing their goals with greater efficiency and aptitude. As a Portland native, Cole strongly believes in giving back to his community and has dedicated a lot of his spare time and energy in the non-profit world. He is active in Rotary and spearheads Enterprise Academy each year, as well as serving as the chair of the Portland Rotary Trust Board. Cole is passionate about education, and the belief that all children should be able to access a quality academic experience, this conviction led him to also sit on the Board of All Hands Raised, chairing their revenue committee. 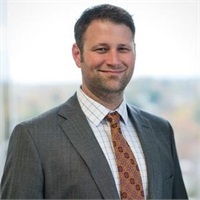 As part of furthering his presence as a CFP® professional in our local business community, he is also a member of both the Portland Business Alliance and Financial Planning Alliance. His love for art inspired him to be an integral member of the Disjecta Contemporary Arts board. Cole is a devoted Blazers and Timbers fan, and has supported both teams ardently. He also enjoys traveling the world with his family and instilling love in his daughter, Harper, for all things local. Cole received his Bachelors of Science in Education from the University of Portland. Cole Mills, Phil Jasso, Jacob Mills, Thomas Delaney and Michael Ramey are Financial Advisors offering Securities and Investment Advisory Services through Waddell & Reed, Inc., a Broker/Dealer, Member FINRA/SIPC and a Federally Registered Investment Advisor. 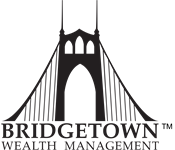 Waddell & Reed is not affiliated with Bridgetown Wealth Management.